Your #1 Source for Bowhunting & Archery Information. The Pope & Young Club is a non-profit North American conservation and bowhunting organization dedicated to the promotion and protection of our bowhunting heritage, hunting ethics and wildlife conservation. Ensuring the future of white-tailed deer, wildlife habitat & our hunting heritage. The goal of the Scholastic 3-D Archery (S3DA) Program is to provide 3-D archery opportunities for young people in after-school settings as well as with archery-affiliated clubs and businesses in the community. 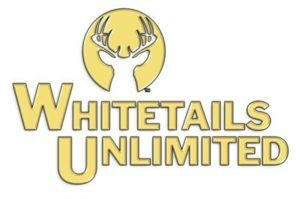 Founded in 1982, Whitetails Unlimited is a national non-profit conservation organization that has remained true to its mission, and has made great strides in the field of whitetail conservation.